The DEA and the United States Attorney’s Office recently announced the infiltration of a large international drug trafficking ring. The announcement took place in upstate New York where 8 suspected drug dealers were arrested for their involvement in the illegal operation. Authorities described the operation as an international conspiracy to import and distribute significant amounts of synthetic MDMA, also known as molly or ecstasy, throughout the country. The drug was allegedly manufactured in laboratories in China and smuggled to the U.S. for distribution in as many as 20 different states, including Maryland. The investigation began back in June of 2012 when federal authorities were tipped off to the supplier of the chemical compounds used to make ecstasy pills. The supplier would take orders for the chemical compounds via internet, and mailed the drugs to the states. Upon learning about the scheme, federal agents sought and received a court order authorizing the interception of emails from the Chinese supplier to possible suspects in the U.S. Law enforcement generated as many as 450 leads during the 30-day interception period allowed under the court order. These leads produced over 50 arrests nationwide and here in Maryland. In addition to the arrests, feds also seized over 70 kilograms of Methylone, a substance with a highly similar chemical compound to MDMA. This substance is often used to make ecstasy pills or is sold in powder form as molly. DEA agents also seized several kilograms of cocaine, meth, and actual MDMA. Cash, firearms, and cars were also confiscated during the execution of arrest and search warrants. 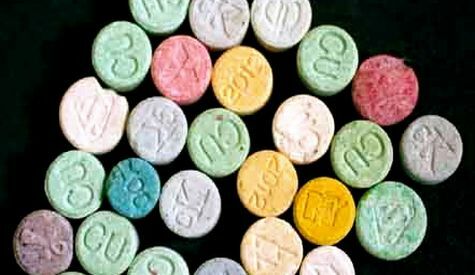 Federal law enforcement and the Justice Department have developed an increased awareness of molly and ecstasy in the past few years. In 2011 the DEA sought an emergency order to allow prosecution for possession and sale of molly, and in 2013 the drug was permanently listed in Schedule I of the Controlled Substance Act. The DEA has cited the recent 300% increase in poison center calls related to synthetic drugs as motivation for cracking down on molly and ecstasy. Law enforcement agencies here in Maryland have also increased their awareness of designer party drugs such as molly and ecstasy. We have seen more targeted investigations by law enforcement, and more of these cases making their way through the court system. State and local cops are also now more familiar with the street terminologies of these drugs, their effects, and their appearance. State law currently treats possession of molly and ecstasy in the same manner as any other controlled substance outside of marijuana. The maximum penalty for possession is 4 years in jail and a $25,000 fine. As far as sale and possession with intent to distribute molly or ecstasy, state laws are still relatively relaxed. The punishment for these crimes still carries a maximum 5-year jail sentence as opposed to the maximum 20-year sentence for narcotic drugs such as cocaine and heroin. In the future, we may see the state legislature pass a bill raising the punishment for crimes involving these designer drugs, but law makers may find themselves playing a game of catch up. Every drug crime on the books must spell out the exact chemical compound of the substance, and the problem for law enforcement is that new designer drug compounds are being created all the time. This is a similar situation to the synthetic marijuana aka spice issue. We will continue to follow this particular drug bust, and others regarding designer drugs, and another article may follow in the coming months. Benjamin Herbst is a drug crimes lawyer specializing in possession and distribution of MDMA, marijuana, and heroin. Contact Benjamin anytime for a free consultation about your case.